While atmospheric ozone serves as a vital barrier protecting the Earth from harmful ultraviolet radiation from the Sun, ground ozone pollution is another matter entirely. Ozone forms when nitrogen oxide from vehicle emissions reacts with volatile organic compounds, some of which come from plants. Inhaling too much ozone can cause respiratory problems, trigger asthma attacks, and harm lung tissue, according to the Environmental Protection Agency. In a new study, researchers examined how drought conditions impact ozone pollution by reviewing data from two cities in California with high levels of ozone pollution during the worst drought in the state’s history. 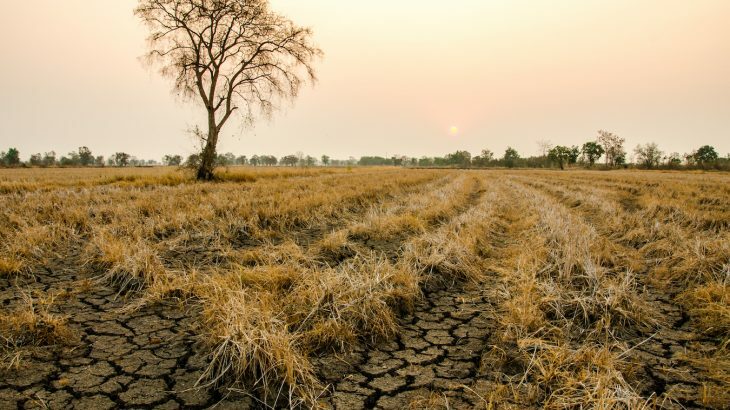 As droughts have a major impact on vegetation and plant growth, the researchers wondered to what extent drought influenced ozone pollution due to the relationship between nitrogen oxide and volatile organic compounds from plants. The study was published in the American Chemical Society’s Environmental Science & Technology journal. Plants and ozone have a complicated relationship as some compounds like isoprene contribute to ozone production, but plants also take in and store ozone through their leaves. The researchers reviewed ground and satellite data from Fresno and Bakersfield in California from 2011 to 2015. The data contained information on isoprene and ozone concentrations in the air, leaf area index, and nitrogen oxide levels before, during and after the drought. Isoprene concentrations were unaffected at the start of the drought, but dropped more than 50 percent during the peak of the drought. This drop in isoprene concentrations, in turn, impacted ozone production and ozone dropped 20 percent during the drought. However, because the drought limited the plants’ ability to take up ozone in the two cities, ozone levels overall only dropped by six percent even though ozone production dropped significantly. The study adds an important factor to consider when researchers study ways to limit ground ozone pollution.